Google Play is one of the most trending applications nowadays, it is used by almost everyone round the world. It gives access to a plethora of games, movies, fun and other entertainment apps across your compatible devices instantly. Have you ever experienced an instance where you wanted to purchase your favorite app on Google Play but ran short of funds? In such situations, the only way out possible was to drive down to the various authorized retailers for purchase of Google play gift cards. But who has time to do so? Probably everyone today is too busy to follow the old traditional methods. What to do then? Fret no more, Paytm is here to help you in this regard. You can now do Google Play recharge online within few minutes only; it lets you add balance to your Google Play card account in no time. With Paytm, users can add balance to their Google Play accounts directly from the internet through an easy and a hassle-free process. Google play online recharge lets you enjoy your much loved movies, read books, enjoy games and more without any glitch. Do Google play recharge online at Paytm and purchase apps, games, movies & a lot of other types of content and entertain yourself. You can buy a gift card for your own purchases or gift it to a friend and surprise them. Never limit yourself from buying apps, do Google Play recharge online and buy desired Indian & international digital entertainment instantaneously. 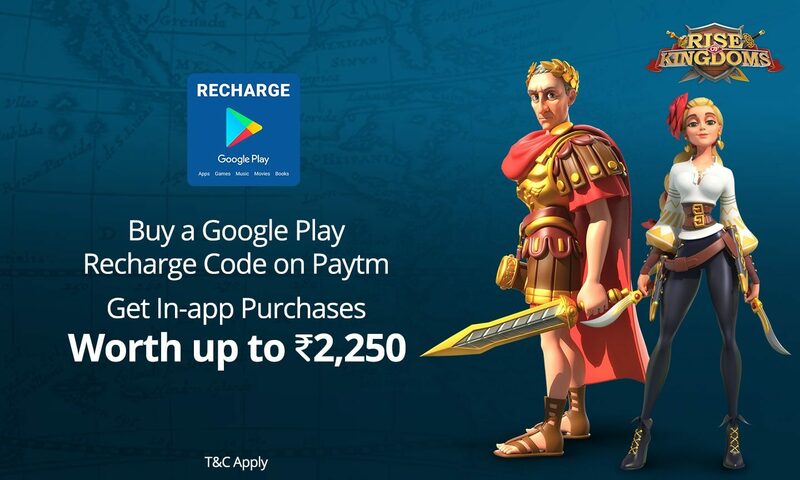 How to Recharge Google Play Card Online at Paytm? Once the payment is confirmed, you will receive an instant auto-update on your registered e-mail id. You can redeem the Google Play gift card and add balance to your account in a jiffy. Once recharged, one can buy from a galore of games, music, apps, e-books and much more at Google Play store for nonstop fun time. So, get ready for a wonderful experience without any disruptions, recharge your Google play today!